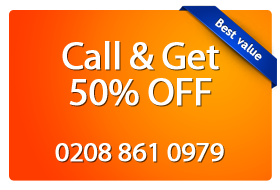 Are you looking for a reliable carpet cleaning company in Kentish Town? Magic Carpet Cleaning is ready to deliver you affordable service with great results. Our cleaners are fully trained and insured. They are equipped with latest cleaning tools, provided by the industry leaders, like Karcher and Prochem, along with child safe detergents. If you need additional information, don’t wait to call us on 0208 861 0979. We are 24/7 available. The traditional methods of washing carpets with water will not give the desired results. And as drying them becomes a greater issue, customers cannot help but need a hand from experts like Magic Carpet cleaning in Kentish Town (NW5). We have already served many homes in the nearby regions. Once in a while the whole house is cleaned before festivities or during end of tenancy. Magic Carpet cleaners in Kentish Town (NW5) will make the whole process of cleaning carpets very smooth with their innovative techniques of steam cleaning. The hot water which goes to the root of the carpet gets rid of the stain permanently. The pet stains are removed by Water Claw which is more efficient than normal vacuum cleaning. The modern drying systems ensure that the carpets are ready for use within a day and also as the prices are fixed for various cleaning activities there are no discrepancies associated with the charges. Call us on 0208 861 0979. Our friendly customer support assistants are ready to help you. They are 24/7 available. On request you will receive a completely free, no obligation price quote. Alternatively you can fill our on-line booking form, and will get in touch with you in no time.